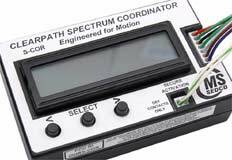 The ClearPath Spectrum Coordinator programs the family of transceivers found on this page. These products operate at 2.4 GHz and feature 2 way digital communication giving you enhanced security and reliable signal transmission. 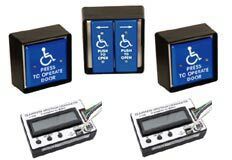 2.4GHz wireless kit includes, 1 S-COR Spectrum Coordinator, 2 S-TRX transceivers with mounting box and 2 - 59 series square switches (choose faceplate style in our shopping cart.) The kit also comes with wire harness and battery. 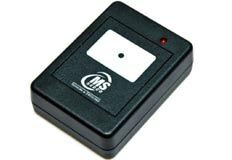 2.4GHz wireless kit includes, 1 S-COR Spectrum Coordinator, 2 S-TRX-R4 or R6 transceivers with mounting box and 2 - 59R4 or R6 round switches. 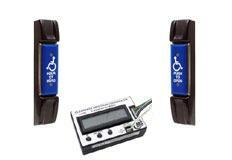 2.4GHz wireless kit includes, 1 S-COR Spectrum Coordinator, 2 S-TRX-J transceivers with mounting box and 2 - 59J series narrow switches (choose faceplate style in our shopping cart.) The kit also comes with wire harness and battery. 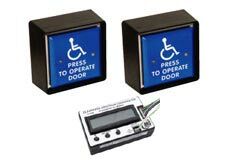 Kit Includes 2 S-COR Coordinators, 2 square S-TRX transceivers with switches, mounting boxes, 1 - 59V vestibule switch & 1 dual transceiver (choose faceplate style in our shopping cart.) The kit also comes with wire harness and battery. 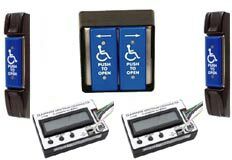 Kit Includes 2 S-COR Coordinators, 2 narrow S-TRX transceivers with switches, mounting boxes, 1 - 59V vestibule switch & 1 dual transceiver (choose faceplate style in our shopping cart.) 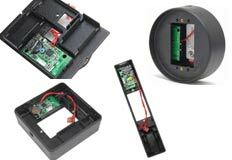 The kit also comes with wire harness and battery. 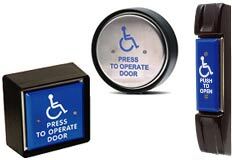 Your choice of square, narrow, 4" round or 6" round transceiver and activation switch. Choose the shape and the faceplate style in our shopping cart. 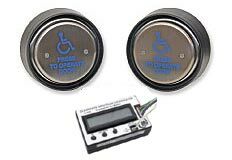 A one button hand held transceiver is easy to carry and includes a lanyard. All ClearPath Spectrum products transmit at 2.4 GHz for a clear digital signal.